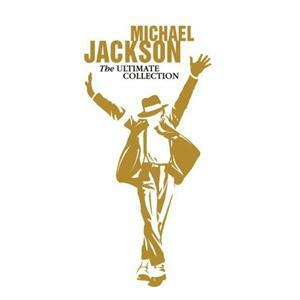 Michael Jackson: The Ultimate Collection is a limited edition box set consisting of four CDs and one DVD, Live in Bucharest: The Dangerous Tour.Much of the music is drawn from the height of Jackson's career particularly from the albums Off the Wall, Thriller, Bad, Dangerous, HIStory, and Invincible. The set also features three tracks from The Jackson Five and six tracks from The Jacksons. Notable tracks on the compilation include the first release of the demos of "P.Y.T. (Pretty Young Thing)", "Shake a Body", "Cheater" and "We Are the World." The set also contains 8 unreleased songs, including "Beautiful Girl", "The Way You Love Me" and "We've Had Enough" and previously out of print songs such as the full version of "You Can't Win," "Someone in the Dark," the early versions of "Dangerous" and "Monkey Business," "Someone Put Your Hand Out" and "On the Line. "Michael Jackson was hailed as the King of Pop long before he became infamous for his peculiar, headline-grabbing antics. Fortunately, this five-disc retrospective box set -- spanning 1969 to 2004 -- returns the spotlight to Jackson's triumphs as an artist. Disc 1 chronicles the Gloved One's not-so-humble beginnings as the young-yet-dynamic lead singer for the Jackson 5 with a string of four No. 1 pop and R&B singles ("I Want You Back," "ABC," "I'll Be There," and "Got to Be There"), which appear alongside disco-era Jackson 5 hits ("Dancing Machine," "Enjoy Yourself"). Disc 1 also includes MJ songs from the films The Wiz and Ben, as well as career-defining solo numbers from Off the Wall ("Rock with You," "Don't Stop 'Til You Get Enough"). With the inclusion of six hit singles from Thriller -- still the bestselling record of all time -- Disc 2 captures the pop icon at the height of his career. Disc 3 features seminal tracks from Bad ("Smooth Criminal") and Dangerous ("Remember the Time"), while Disc 4 features selections from 1995's HIStory: Past, Present and Future, Book 1 and 2001's modest comeback, Invincible. Besides more hits, what further distinguishes The Ultimate Collection from the aforementioned two-disc HIStory is the addition of 13 rare and previously unissued recordings, including demo versions of "PYT" and "We Are the World," and a DVD containing a full-length concert shot in Bucharest during 1992's Dangerous tour. The deluxe box set also contains a 64-page booklet with never-before-seen photos, personal memorabilia, a chronological timeline, complete discography, and an essay by acclaimed music journalist Nelson George -- making this truly an Ultimate Collection.